There are 4 requirements necessary to create a successful chiropractic practice. …and if we had to pick the one most important, it would have to be 4. Communication! Consider just how important this is to the growth and impact of your practice, not to mention the effect on your life as an entrepreneur! Can you imagine what life and practice would feel like if prospects understood your objective, patients really “got it”, happily told others, and you had a flourishing community that looked to you for leadership? It goes without saying, this would feel wonderful…yet the VAST majority of docs are not experiencing this and have no idea where to even start. 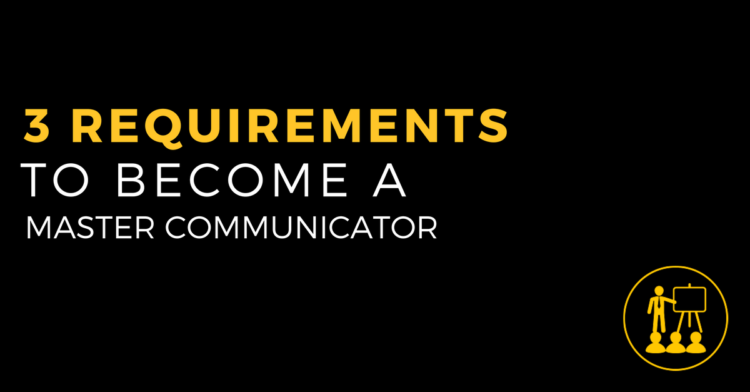 Today’s episode is about the 3 necessary requirements you MUST have in place if you expect to develop into a master communicator. NOTE: This process takes time, there are few shortcuts, but the results are worth every second of time, every dollar invested and every ounce of energy expended. Enjoy this episode of Life By Design For Chiropractors. The single most important aspect of a successful “mindset”. The BIG problem with scripts and how they can fail when you need them most! What you should do with all your notes, great ideas and content from workshops and conferences to ensure they get put to good use. The “chapter” analogy that will change they way you think about training on communication. Start learning HOW to know what communication option to use and when, in order to get easy yeses from prospects and patients.